Forum member (and respected shooting journalist) James Mock has provided a follow-up report on the recently concluded Firearm Industry Super Shoot. First, James wanted to give credit to this year’s overall winner, Jeff Summers. 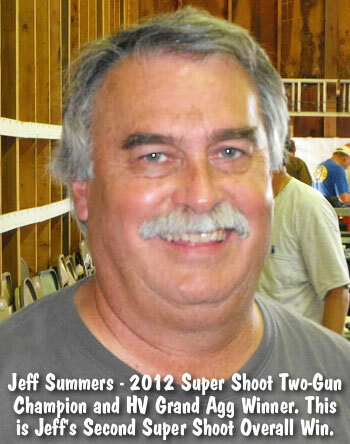 James writes: “Jeff Summers persevered through the four days and came away with a HV Grand and a two-gun win at Super Shoot XL. This was his second Super Shoot win. For those who do not know Jeff, he is from eastern Tennessee (Oak Ridge area). He shot a BAT action and Bartlein 1:14″-twist barrel. He is a bag squeezer and shoots homemade bullets. Also, he smiths his own rifles”. Share the post "Super Shoot — Deserving Two-Gun Champion and New Talent"
Some time ago, Savage announced it would be chambering the Model 10 Precision Carbine in 300 AAC Blackout. Since that time, we have tested many variants of this cartridge in various barrel lengths and rates of twist. This exhaustive testing left us quite unsatisfied with the accuracy we were able to get from the subsonic loads in this chambering. Accuracy with the lighter, faster loads in this caliber was actually quite good. But we believe the real value in this cartridge lies in the use of subsonic loads for suppressed rifles. Therefore we have decided to scrap the project. It is our understanding that pushing these heavy, slow bullets presents challenges not found in typical loadings and that our experience is not unique. Subsequently, many in the industry have simply adopted a lower standard for accuracy for these subsonic loads. While this does seem reasonable and we don’t criticize any in our industry that have taken this approach, it just won’t work for Savage. Our brand was built on accuracy and we are too protective of our reputation for building the most accurate factory rifles available. We would rather walk away from this opportunity than sell a product that requires an explanation. 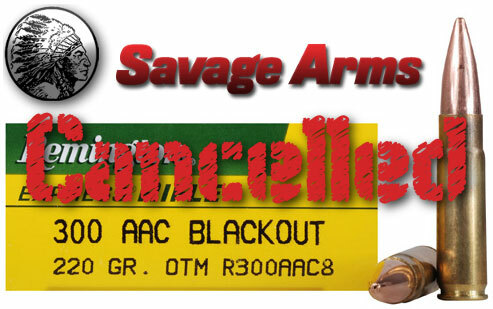 Share the post "Savage Cancels 300 AAC Blackout Carbine Project"
Sierra Bullets has just announced a new .375-caliber, 350 grain HPBT bullet — the latest in Sierra’s MatchKing line of projectile. Designed for custom long-range applications, this 350-grainer is the largest MatchKing Sierra produces, and it offers a jaw-dropping 0.805 G1 BC (at 2,200+ fps). With that impressively high BC, the new .375-caliber MatchKing should “buck the wind” very well at long range. The new bullet features an 11-caliber ogive, and 9-degree boat tail. Sierra says the overall shape is “forgiving” to tune and should work well at a variety of seating depths. These bullets will be available in 50-count boxes (stock #9350T), or bulk boxes of 500 bullets (stock #9350). 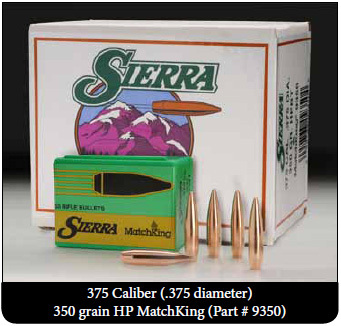 Share the post "New 350gr .375-Caliber MatchKing from Sierra"
Redding is releasing a dedicated small-case powder measure with a charge weight range of 1 to 25 grains. 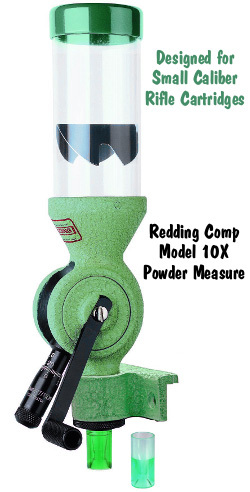 This specialized Model 10X powder measure should work well for small varmint cartridges such as the .221 Fireball, .20 Vartarg, and the 17 Hornet. The powder cavity and micrometer settings put the charge for a 17 Hornet right in the middle of the powder measure’s capacity — the most accurate part of its range. That’s good news for small rifle cartridge reloaders. In addition, 17 Fireball and 17 Hornet shooters will be pleased to not that Redding has introduced a 17-caliber drop tube adapter that fits the small-diameter necks of these compact varmint cartridges. With this 17-cal adapter (Redding part #03817), you can throw charges directly into 17-caliber cartridge brass, without the need for separate small-neck funnels. The 17 Hornet is based on the venerable rimmed .22 Hornet case. However, the case is not just necked-down from .22 caliber. The case designers reduced body taper, moved the shoulder, and changed the shoulder angle to 25°. This effectively modernized the old .22 Hornet case, improving efficiency while retaining the max OAL, so that the 17 Hornet can work in any action big enough for the .22 Hornet. 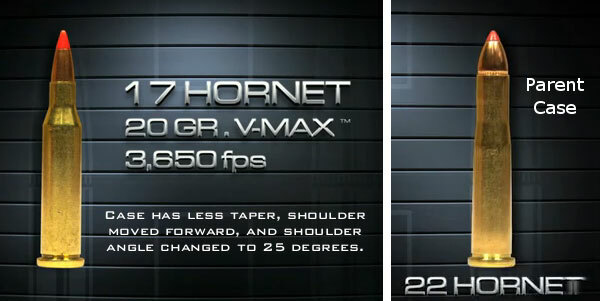 Hornady’s “Superformance” 17 Hornet loaded ammo is designed to push a 20gr bullet at an impressive 3650 fps. Share the post "New Redding Powder Measure for Small Varmint Cartridges"
Today, Memorial Day, Americans will honor the sacrifices of military men and women who paid the ultimate price in their service to our nation. More than one million American men and women have died in military service during wartime, including more than 655,000 battle deaths. 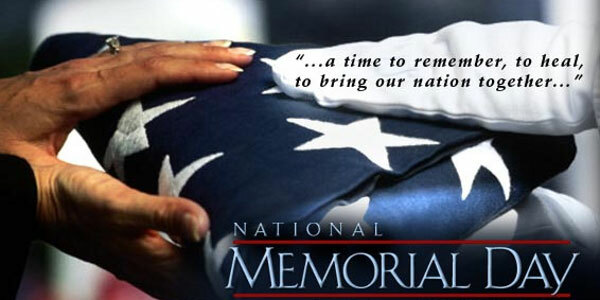 Observances this Monday, May 30th, will range from parades to memorial ceremonies and organized moments of silence. More than 100,000 people are expected to attend organized activities at national cemeteries. “The fallen warriors we honor on Memorial Day cherished liberty and freedom enough to lay down their lives to preserve our way of life,” said Secretary of Veterans Affairs Eric K. Shinseki. “We owe them eternal gratitude and we must pass those sentiments on to future generations.” Sec. Shinseki will deliver the keynote address at a Memorial Day ceremony at Fort Richardson (AK) National Cemetery. The Department of Veterans Affairs (VA) will continue a tradition of hosting numerous ceremonies at its national cemeteries and other facilities nationwide. President Obama will speak at Arlington National Cemetery. For the schedule of other Memorial Day weekend programs at VA national cemeteries, visit www.cem.va.gov. 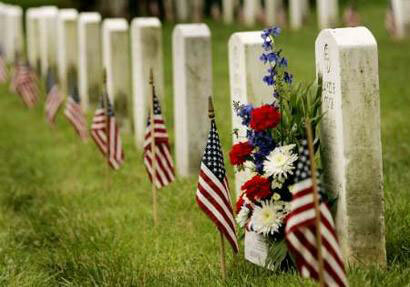 Memorial Day was originally called Decoration Day when the tradition of decorating Civil War graves began in 1866. This day of remembrance still brings loved ones to the graves of the deceased, often with flowers as grave decorations. To honor veterans buried in national cemeteries, Dept. of Veterans Affairs (VA) staff and volunteers typically place small individual American flags on each grave. Alternatively, “avenues of flags”, flanking both sides of the cemetery entrance, are displayed. (These may include burial flags awarded to the survivors of veterans interned in the cemetery). The VA maintains more than three million gravesites at its 131 national cemeteries. In 2010, more than 111,800 burials took place in national cemeteries. 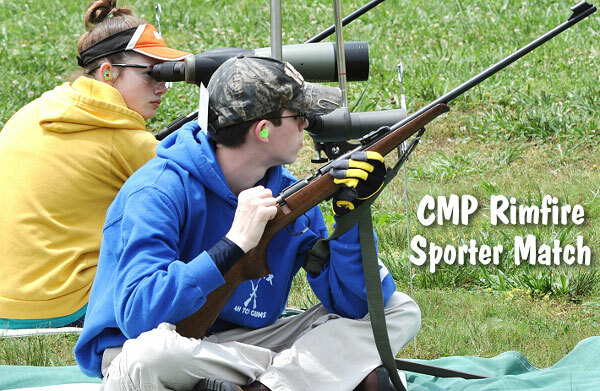 Share the post "Memorial Day Remembrances Held Across the Nation"
The 40th Annual Firearms Industry Super Shoot, held at the Kelbly’s Range in North Lawrence, Ohio, concluded yesterday, May 26. 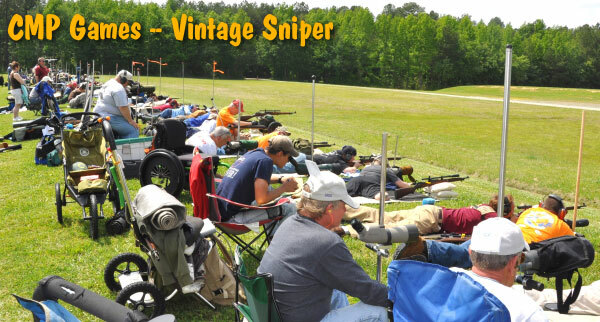 Now in its 40th year, the Super Shoot is the biggest short-range benchrest competition on the planet, drawing upwards of 400 competitors each year. 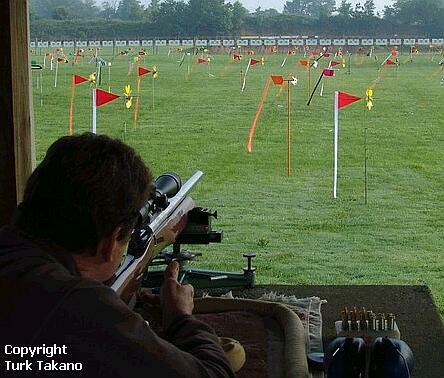 The Super Shoot attracts top 100-yard/200-yard Benchrest shooters from throughout the world. Here are some preliminary results for the LV and HV matches. Note: These rankings are subject to final verification, and they are not official. 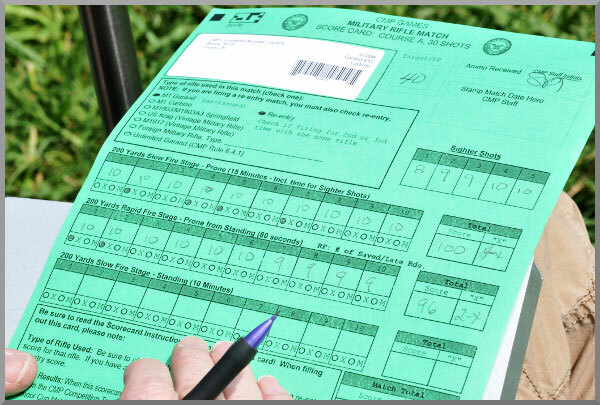 We are still waiting for ranked results from Saturday’s 200-yard Light Varmint (10.5-lb class) competition, and the actual combined scores for the Two-Gun. 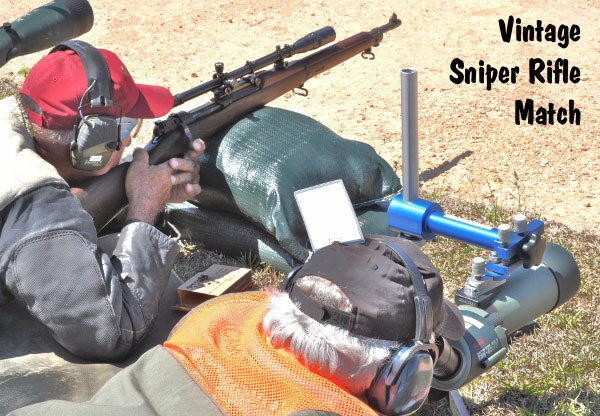 Share the post "Jeff Summers Wins 40th Annual Super Shoot at Kelbly’s Range"
If you purchase a Vortex Viper or Vortex Razor Spotting scope from the about list, Camera Land will include a Vortex Dakota Tripod (PN#-DKA) with a Ball Head for just one penny more. The Dakota ball-head tripod currently sells for $129.99. Share the post "Vortex Spotting Scope Promo from Camera Land — $.01 Tripod"
If you purchased Berger’s “6mm BR Column” bullets recently, check your lot number on the box. Berger Bullets has recalled lot number 4192 of 6mm BR Column bullets (Berger item #24407). If you have this lot number please contact Berger at (714) 447-5425, and Berger will ship you high-quality replacement bullets. We are not sure why these bullets are being recalled, but rest assured that Berger will provide high-quality replacements promptly. Note: It is known that part of lot number 4192 was originally shipped to Powder Valley. Berger’s “6mm BR Column” bullets were created for short-range (100-300 yards) benchrest applications. This name does not mean the bullet is designed just for the 6mm BR cartridge. Rather it is designed for all 6mm short-range benchrest (BR) rifles, most of which are 6 PPCs (for group shooting at least). 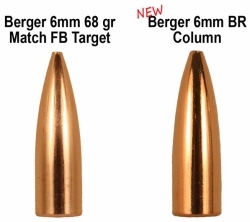 The “Column” in the name comes from the fact that Berger optimized the height of the lead core column inside the bullet. 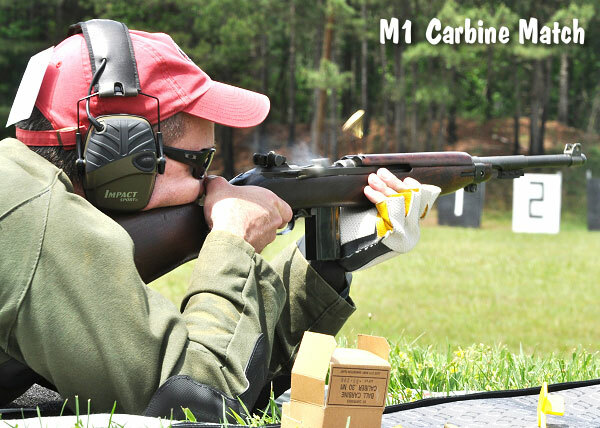 Testing revealed that bullets which had very uniform core column heights shot more accurately and were also easier to tune. Berger says the new 6mm BR ‘Column’ projectiles started shipping in mid-March, 2012. Share the post "Berger Bullets Recalls One Lot of “6mm BR Column” Bullets"
You probably know that eBay, the internet’s #1 auction site, forbids sales of firearms, actions, and ammunition. eBay has, in the past, also banned listings of a wide variety of gun components and accessories. However, eBay just issued a new policy allowing sales and auctions of more gun-related products. The “green light” has been given to sales of barrels, bolts, clips and magazines (10 rounds or less), triggers, firing pins, and hammers. In addition, listings of pistol slides and revolver cylinders are now allowed. Even with the policy changes, “the listing of firearms, replica firearms, ammunition, and other firearm-related items is still prohibited on eBay.” In addition there remain some special restrictions: “You may now show your accessories on a firearm in your photo, as long as it is not an assault weapon and there is no indication in the listing that the firearm is included in the sale. You and all of the items listed must be located in the US and you must only offer domestic shipping on these items.” eBay’s new gun component policies are set forth in the following notice issued to eBay sellers. You may now show your accessories on a firearm in your photo, as long as it is not an assault weapon and there is no indication in the listing that the firearm is included in the sale. You and all of the items listed must be located in the US and you must only offer domestic shipping on these items. Listing accessories related to assault weapons is still prohibited on eBay. If your accessory is compatible with other weapons as well as assault weapons, you may list it, but may not mention any assault weapon compatibility. The listing of firearms, replica firearms, ammunition, and other firearm-related items is still prohibited on eBay. Please carefully review the site policy that outlines firearm restrictions before listing these items, and be sure your listings—titles, descriptions, and photos—are in compliance with the new update. 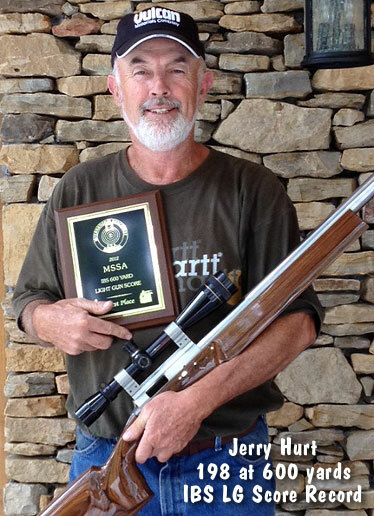 Share the post "eBay Eases Restrictions on Gun Parts Allowed for Sale or Auction"
Jerry Hurt set a pending new IBS 600-yard Light Gun Score Aggregate Record of 198 this weekend at the MSSA range in Memphis, Tennessee. If certified, this would beat the previous LG Record of 197 set by Sam Hall in 2011. 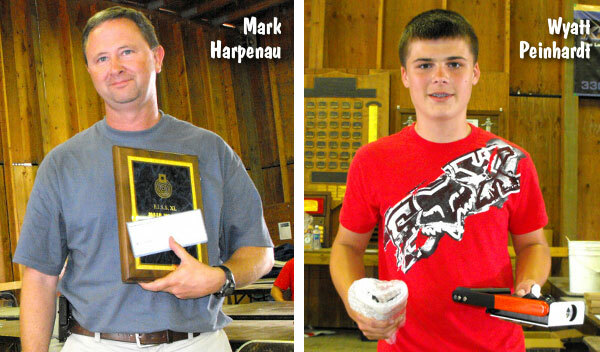 The 198 score Four-Target Agg was well-centered with a 2.256″ Group Agg. 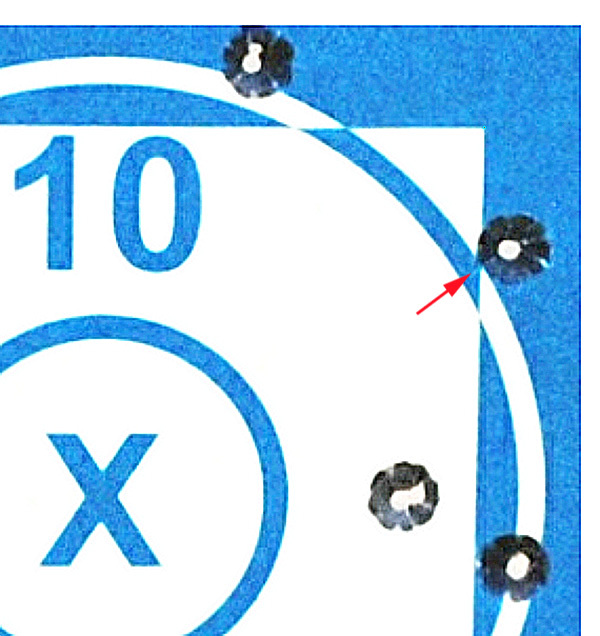 One shot on Jerry’s third target appears to have just clipped the line for the 10. (See Target 3 Close-up Photo). Forum member Tim Claunch reports: “Mr. Jerry Hurt had an exceptional Light Gun match and indeed scored a 198. I drew next bench to Jerry and was there watching him. You won’t find a nicer gentleman in our sport — congratulations Jerry Hurt!”. Match conditions were very good with partly sunny skies and 75° early temps with a light SW Tailwind. 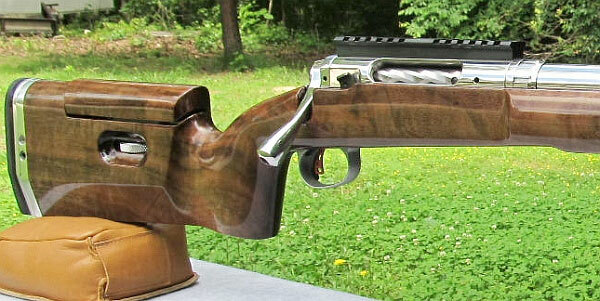 Jerry was shooting a 16.86-lb, 6mm Dasher with a BAT two-lug Action and Shehane MBR stock in Obeche wood laminate. The 1.25″-straight contour 5C Broughton barrel is chambered with a 0.267″ neck for neck-turned brass with 0.265″ loaded necks. This barrel was purchased about a year ago, but only had about 150 rounds on it when Jerry shot the 198 score. Measuring 27.5″ long, this Broughton has proven exceptionally fast. Jerry’s chronographed velocities are significantly faster than other Dasher shooters — too fast to print. Let’s just say Jerry is running a very high speed node. 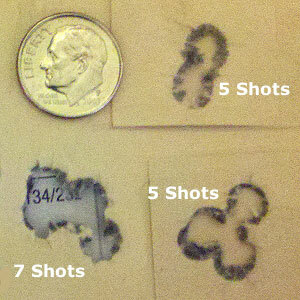 Jerry’s load consisted of Berger 105gr Hybrid bullets, seated 0.030″ off the lands and pushed by 33.0 grains of “Long-Range Match” pull-down (surplus) powder. This powder, which is very similar to Reloder 15, has produced some great results recently. 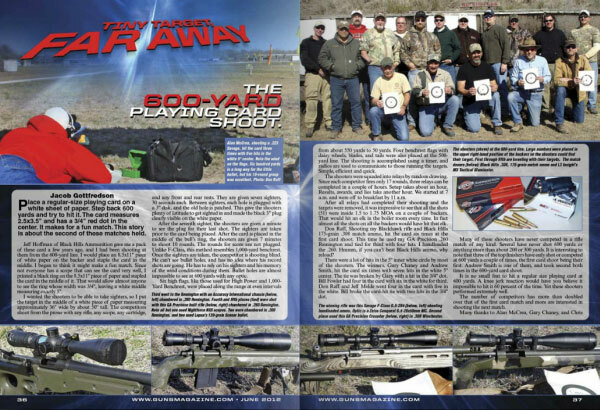 Ron Boyd used it in his Dasher to shoot a 1.462″ 1000-yard group last month. 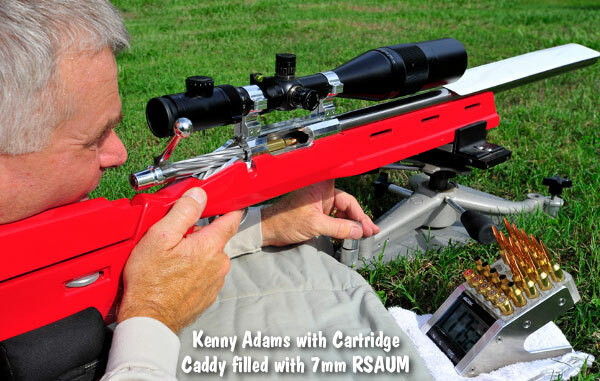 Share the post "Potential 600-Yard IBS LG Aggregate Score Record Set in Memphis"
F-Classer Kenny Adams was spotted at the recent Tennessee NRA Regional using the new patent-pending PD Products LLC On-Time Cartridge Caddy. This $95.00 gadget is the creation of ace pistolsmith and “casual” High Power competitor, Paul Liebenberg of Pistol Dynamics. The On-Time Caddy combines 25 cartridge slots with a countdown timer so the shooter can keep track of time while accessing his ammo. No one knows if the new Caddy had anything to do with Kenny’s one-point win over Danny Biggs at the Tennessee match, but Paul figures it has to be worth at least one point per match, so the inventor is shamelessly taking credit for Kenny’s win. The PD On-Time Cartridge Caddy is entirely CNC-machined from aluminum and acrylic (clear or colored) and is available for all cartridges commonly used by High Power and F-Class shooters. 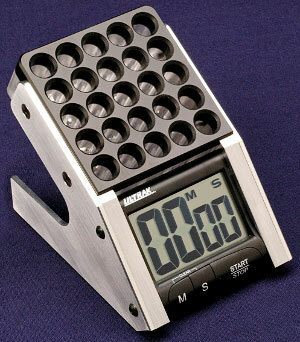 The angled-face integrated timer lets you manage time and handle ammo without shifting from the shooting position. The PD Cartridge Caddy is not a one-size-fits-all product. 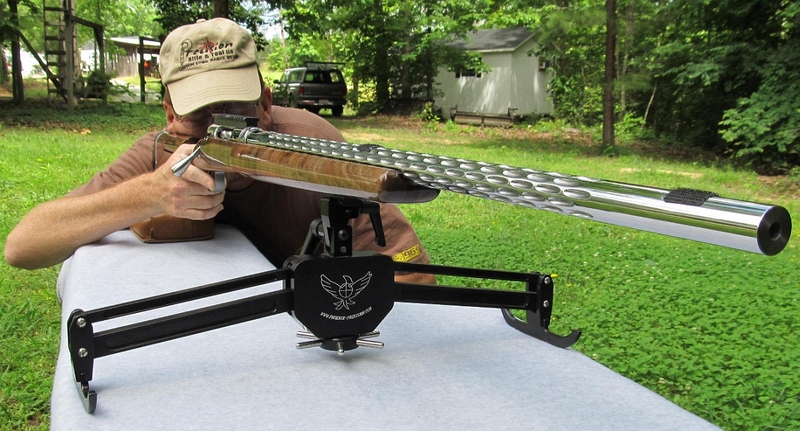 With its smaller rim diameter, the.223 Rem requires a dedicated tray. However certain trays can hold multiple cartridge types (with common case diameters). 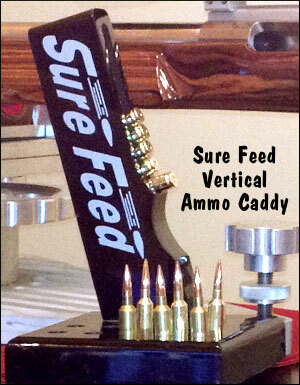 For example the .308 Caddy also works with .243 Win, 6.5X47 Lapua, .260 Rem. There is a special tray designed for the 6mmBR, 30BR, and Dasher. And there is tray for the larger-diameter 7mm WSM and RSAUM. The top photo above shows Kenny with 7mm RSAUM rounds in his PD Caddy. PD Cartridge Caddies are available now at an introductory price of $95.00. To order, send email to info@pistoldynamics.com, or call Pistol Dynamics at 321-733-1266. There is a lifetime guarantee on the machined part and a one-year warrantee on the timer. 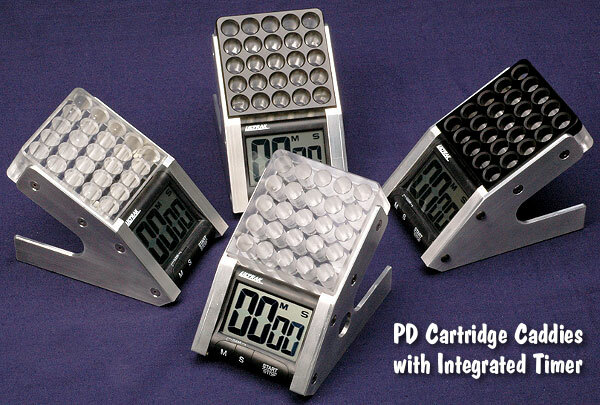 Share the post "New PD Cartridge Caddy with Integrated Countdown Timer"
Multi-Gun fans should tune in to Shooting USA TV this Wednesday, May 23rd. This week, Shooting USA features the USPSA Multi-Gun Nationals held recently at the Desert Sportsman range in Las Vegas. 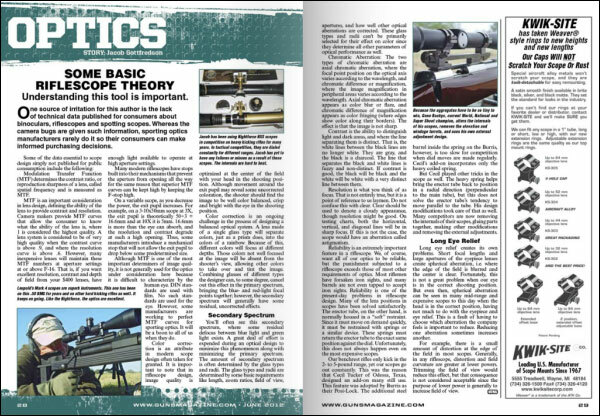 John Scoutten and Mike Irvine narrate the action and provide analysis of this exciting discipline, which requires mastery of rifle, shotgun, and pistol. In addition, this week’s episode of Shooting USA covers wheelgun competition at the Memphis Charity Challenge. Shooting USA airs Wednesday nights at 8:00 pm Eastern (check your local listings for other time zones). 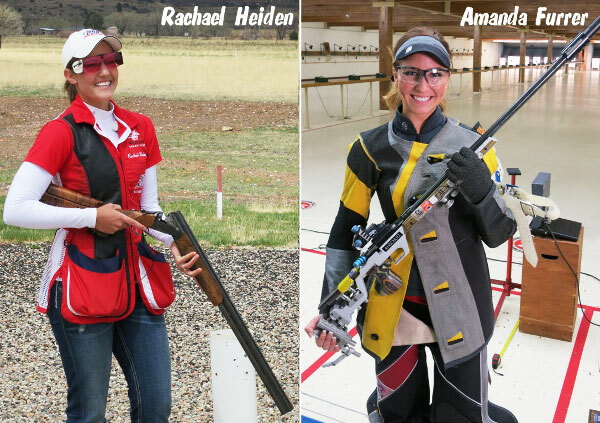 Share the post "Shooting USA TV Covers USPSA Multi-Gun Nationals"
The Benchrest Classifieds operated by Benchrest Central is also a good place to sell benchrest guns (both centerfire and rimfire), actions, scopes, rests, and reloading tools. 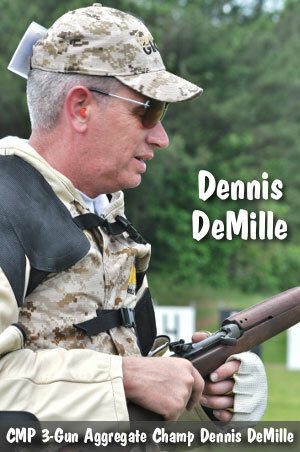 Benchrest Classifieds listings aren’t free, but the $3.00 basic fee is nominal. 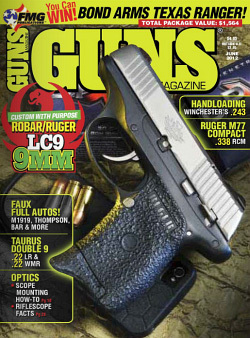 The mainstream gun auction sites such as Gunbroker.com and Auction Arms have large audiences. These sites are good choices for selling factory rifles, shotguns, or pistols. Gunbroker.com is a bigger site than Auction Arms, with much more traffic. That means more potential buyers, but it also means you’ll be competing with many more sellers. Both sites allow you to set reserve prices, and offer “Buy It Now” (fixed price) options. Listing fees and policies for the important gun classifieds and online auctions are listed below. Check the pricing structure carefully. Gunbroker.com and Auction Arms have sliding-scale fees based on a complicated formula. But basically, the higher the auction price, the more you pay. For a rifle with a $1000.00 high bid, the fee is roughly $26.00 at close of auction. For a $2000.00 sale, the fee would be about $41.00. 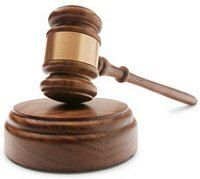 For a gun sold at auction for $3500.00, the fee would be $63.50. GunsAmerica has tiered fees due on sale–$10 minimum plus another $10 each time you pass a $1K mark. For example, the fee for a $1001-$2000 sale is $20, while the fee for a $2001-$3000 sale is $30.00. 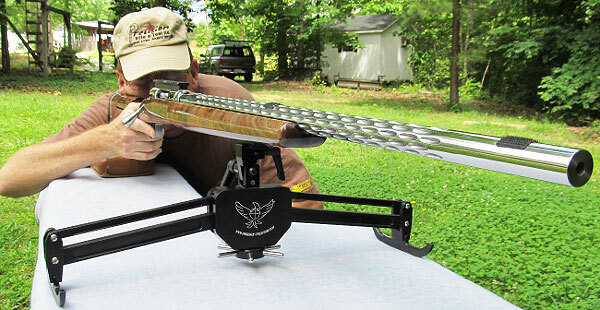 That makes a FREE listing on AccurateShooter.com or a $3.00/mo listing on Benchrest Classifieds look very attractive. 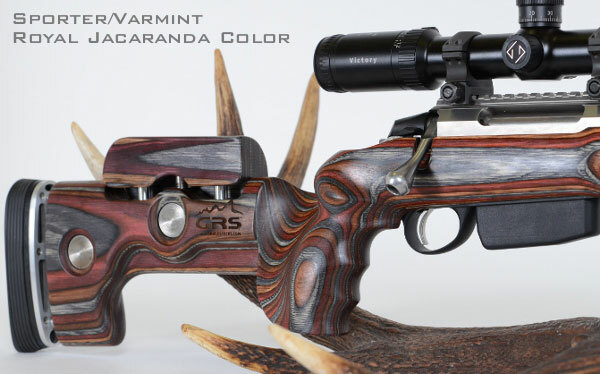 For a precision benchrest, F-Class, Tactical or High Power rifle, you may get the best results posting a For Sale ad on a Forum that caters to the right discipline. You want your ad to reach the right “niche” audience. On the other hand, a GunBroker.com auction will have tens of thousands of potential buyers. For our Shooters’ Forum Classifieds, we’ve found that, if you price your rig attractively (and you provide good photos), your gun should sell quickly. Plus with conventional Classifieds, you can sell immediately–you don’t have to wait for an auction to end. For scopes and reloading equipment (but not firearms, actions, barrels etc. ), also consider eBay. Many gun-related items are still allowed on eBay and it does have a huge audience. Free for items under $25 price. Free Insert. On Sale: $1.25 plus 2.5% of $25-$1000 plus 1.5% of $1000+ $4 signup. Free Insert. Comment Good deals sell fast! Very easy to use. But, old ads don’t self-delete. Good deals sell fast. Logical categories. Small photos. Listing process somewhat difficult. Too many commercial sellers. Bad customer service. Must have Credit Card on File. Not many precision rifle buyers. Server can be slow. Small photos, hard to navigate, many outdated ads. Complex upgrade options. Service Active Moderator. E-mails answered promptly. Webmaster answers E-Mail promptly. Hopeless. No Phone #. Confusing FAQs. Emails not answered. Support person responds to phone and email. No phone #. Extensive FAQs. E-mail sometimes answered after 2-3 days. Showcase Yes. 15 newest ads appear at top level. None Yes. $5 extra fee for Showcase. Yes. Java feed of closing auctions Yes. New and Featured Listings (extra fee). 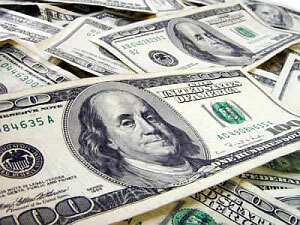 * While these major auction sites have lots of traffic, their traffic is distributed over many thousands of auctions. It’s easy to get lost on the big sites. AccurateShooter.com and Benchrest.com offer a much higher ratio of visits per listing. To learn more about selling guns and gun accessories online, read our full feature story on Online Gun Selling and Auctions. This story includes Sure-fire Tips for Selling online, plus advice on how to take and upload the right kind of photos. Products with photos sell much faster. Share the post "How to Sell Guns and Gear Online"